Bom dia! Greetings from sunny Lisbon where I am currently on vacation. I'm gonna keep things short because,well, like I said I'm on vacation (but I guess a blogger's job is never done), but also because I've had a full day doing touristy stuff, walking around this beautiful city and I am pretty exhausted. 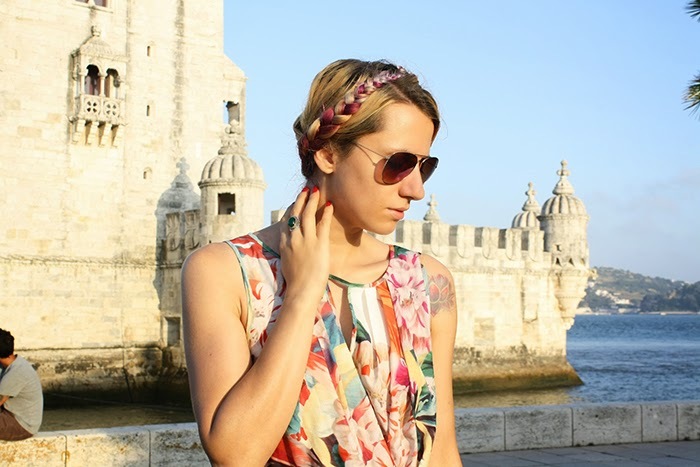 The pictures were taken at the impressive Torre de Belem situated on the bank of the Tangus river. Enjoy! Thanks, dear! I am leaving for Porto on Saturday, otherwise I would have loved to see you. Have fun!